KIEV, Ukraine -- Turkey’s decision to allow Russia permission to build the South Stream gas pipeline seems to have cause a degree of panic in Ukraine. Ukraine stands to loose considerable gas transit revenues if Russia builds the South Stream gas pipeline. The agreement, reached on Wednesday, could have significant implications on long-running gas negotiations between the two countries and reduce Ukraine’s bargaining power in extracting much needed price concessions from Moscow. The South Stream pipeline would see Russian gas exported across the Black Sea to Europe, bypassing Ukraine, whose gas transit network is currently responsible for carrying 80 per cent of Russian energy exports to the EU. In a display of understandable nervousness, Ukraine’s Prime Minister Mykola Azarov, took to Facebook on Thursday to threaten Russia with legal action should no deal be done. “Ukraine is ready to take this dispute to international arbitration. But we would like to try settling it first,” wrote Azarov on his Facebook page, according to Reuters. Ukraine’s reliance on Russian gas has placed its finances in a perilous position. Energy imports account for over a third of Ukraine’s import costs. The government, which currently pays around $416 per 1000 cubic metres of gas, has been trying to get Russia to give it a discount of around 40 per cent, so that it would in effect pay only $250 per 1000 cubic metres. Talks over a new deal have been on-going for over a year and will begin again in January, according to Ukraine’s Minister for Energy. In return for a cut-price arrangement, Gazprom, Russia’s state-owned gas company, is demanding a share in Ukraine’s pipelines. But selling stakes in the country’s vital rent-generating assets would be politically unpopular for pro-Russian president Viktor Yanukovich before parliamentary elections in October next year. For all Azarov’s threats, the omens don’t bode well for Ukraine. The South Stream deal indicates Russia’s desire to diversify away from its dependence on export routes through Ukraine. This has been made all the more urgent following Wednesday’s signing of a memorandum of understanding between Azerbaijan and Turkey to build a new pipeline to carry Azeri gas to Europe. Elsewhere, in a worrying precedent for Kiev, neighbours Belarus – who faced a similar predicament earlier this year – caved in to Russian pressure by selling their remaining stake in Beltransgaz to Gazprom last month. But as reported by the FT, Gazprom may yet abandon the South Stream project if it succeeds in gaining greater control of Ukraine’s transit network. Even so, Ukraine’s deteriorating fiscal position means it can’t afford to engage in a game of ‘chicken’ with Moscow. The bloated energy bill – exacerbated by the fact that Ukraine sells the gas onto its citizens at heavily subsidised prices – has contributed to a current account deficit of 5.4 per cent of GDP or $8.6 bn, even as its currency – the hryvnia – is under sustained pressure. 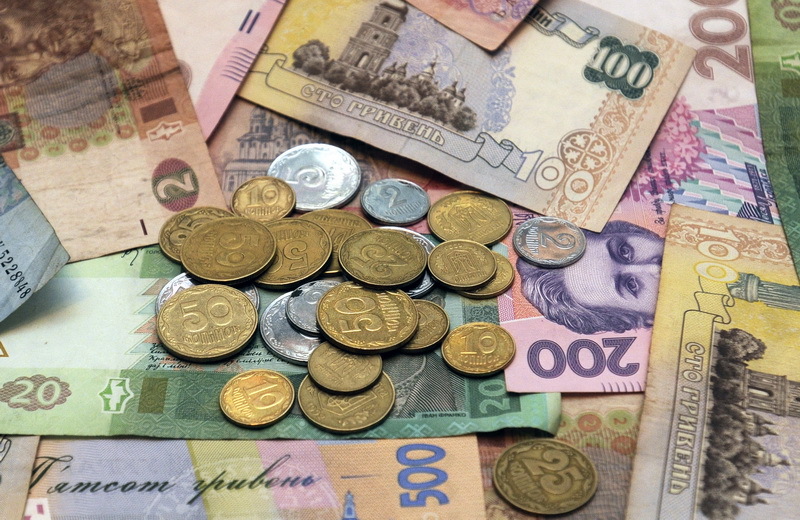 Central bank intervention has kept the exchange rate at 8 hryvnia to the US dollar at the cost of $1.5bn every month. With effective gross reserves at only $17bn, intervention can only continue for another 12 months if no new deal is reached. Either way, a devaluation looms. “The longer it takes Yanukovich to make a decision [over gas prices], the wider the deficit will become and the larger the currency shock when it comes” Dmytro Boyarchuk, an adviser with Global Source partners told FT.
Boyarchuk does not believe the situation has yet reached a critical point, but estimates that if the current gas contract remains, Ukraine will suffer a sharp currency shock in the autumn, with the currency falling to 11 hryvnia per dollar. This could have fatal consequences for investment.